Cambridge Public Library Main Branch – Collaborative Staff Workspace – Sorensen Partners | Architects + Planners, Inc.
Sorensen Partners is Architect, Interior Designer, and Furniture Consultant for a new collaborative work space for staff in the Main Branch of the Cambridge Public Library. Replacing a cubicle layout work area, the new collaborative space provides flexibility of workspace choice and personal storage. 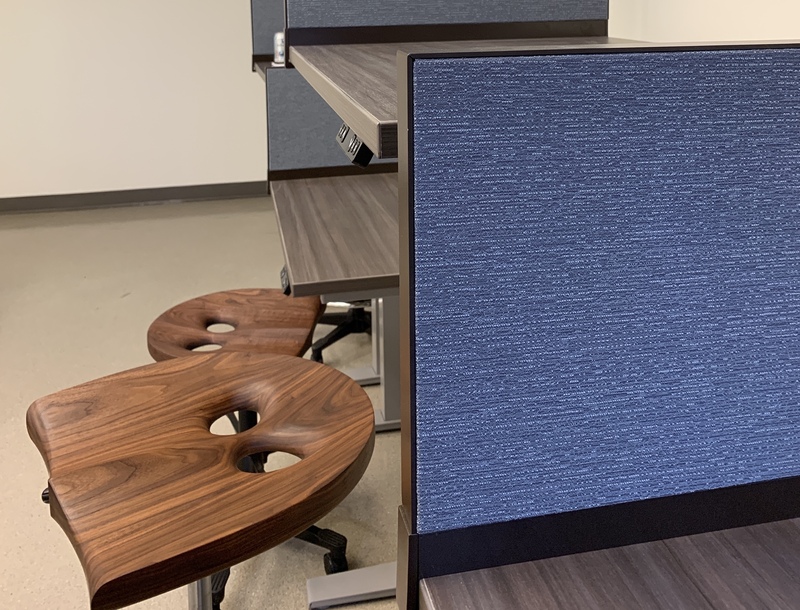 The seating area options are designed to increase the quality of work environments based on staff input regarding the importance of daylight, ergonomic seating, areas for focused work as well as collaboration, and views of nature and nature-inspired patterns. The project is currently under construction by One Source Construction, LLC, with furniture by Office Resources Inc. and RedThread.